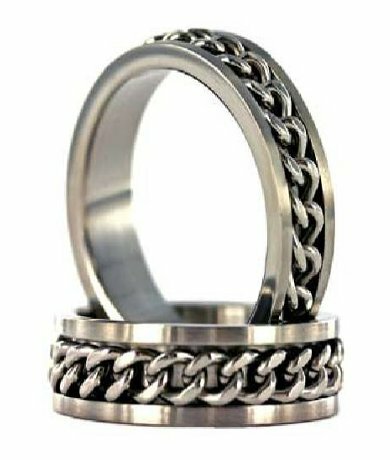 In the late 6th century AD, King Arthur marched into the workshop of the castle blacksmith and ordered this ring commissioned.And so, out of the flames of dragon's breath and the sparks of a furious hammer, came this stainless spinning chain ring - truly one of a kind.Okay, so that may be a slight exaggeration, but that doesn't take away from the beauty of this ring.Show the world that chivalry isn't dead with a ring that encompasses all the best of luxurious jewelry without the pretentious price.Are those the gates of Camelot we hear creaking open? 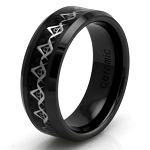 When I saw this ring I knew it would be perfect for my husband!!! 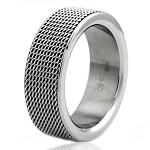 He has a larger ring size (14) so it has been difficult finding a wedding band that he likes and fits him. This ring fits his personality and looks great on him. We originally ordered an incorrect size and the customer service I received was outstanding, the representative was polite and knowledgeable. Could not be happier with the product, service, and the speed of delivery and exchange. 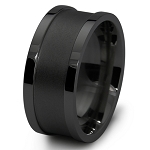 I would definitely recommend this ring and this company. 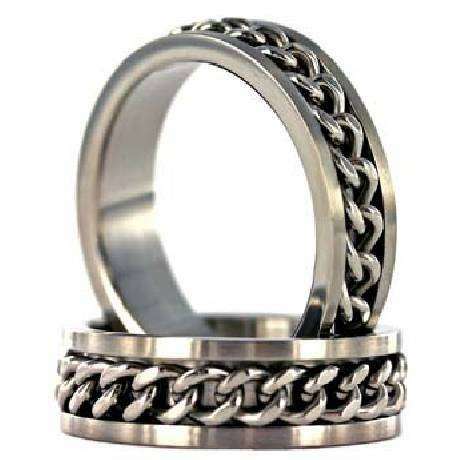 This ring is exactly as described. I love that you have extended sizes, especially at such great prices. I didn't want to spend much due to my husband's line of work and the high possibility of damaging it, but it is quite sturdy. He loves it!!! The shipping and exchange were fast and smooth. Thank you! Excellent value for the price and very well made. This is a wonderful site and product. It arrived five days after I ordered and was absolutely perfect! This is so cool! He loves it!